""" keywords'/> "" " Not Promoting Yourself on YouTube? 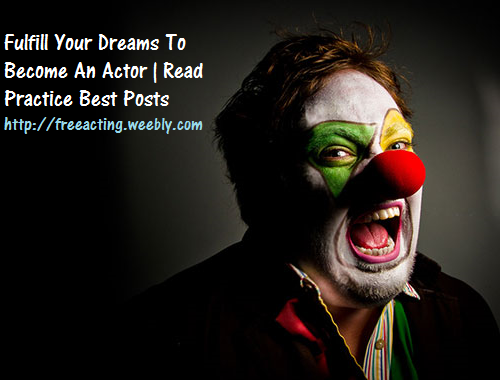 9 Reasons Why Should You | Best Actor Academy-The Monster Of Free Acting Tips ""
A Pity! Not Having Your Own YouTube Channel to Promote Yourself as an actor? Acting isn't all about an excellence in the acting craft, be able to portray any type of role, feeling the character and being in the moment. 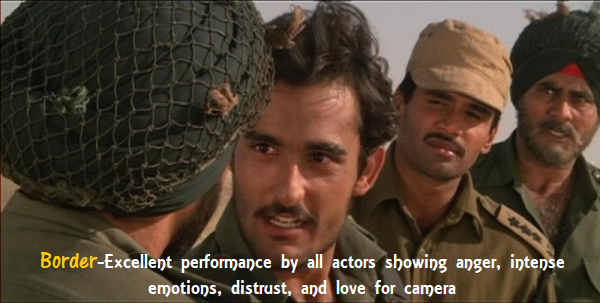 If you can't get a job as an actor, being labelled as “an excellent actor” would be depressing to you. Acting is only possible if somebody's prepared to sit and watch you do it. To survive emotionally and professionally, you've got to both earn a living and fulfill your dreams and self-esteem. The statistics are terrifying, with something like 95% of the trained or untrained actors out of work for perhaps during a long duration of time. So, what happens? Shattered dreams and a financial catastrophe, resulting in destroying life! 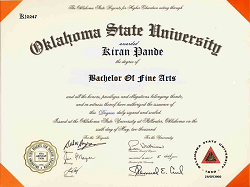 Therefore, it is to be in the top 5% out of the above statistics. How do you do it? The only way is to promote “you” as a “product” as if you are a businessman / woman running your “Business”. Let the people who matter like casting directors, production houses, directors, TV channels “know you” among thousands of struggling actors roaming the streets of Mumbai. However, there is a piece of warning! 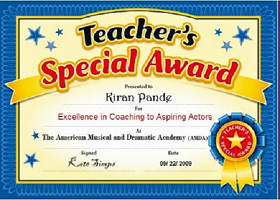 Have you developed yourself into “ A Good Product” of being an excellent professional actor with an unparalleled excellence in acting craft? 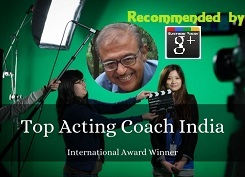 Have you taken a personalized, professional acting for a better school or better, from an expert acting coach, an artist teacher? Don't overlook this factor before you start your business of acting! Now, coming to an important, though the generally overlooked aspect of business by most of you is marketing and promoting through Video channels! 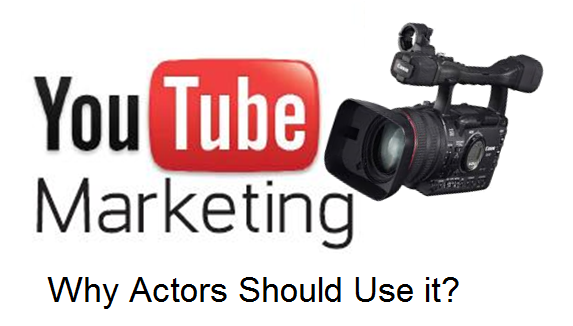 For an actor YouTube is the cheapest and most effective way of marketing themselves. It doesn’t cost anything to upload videos onto YouTube. If you are a beginner or have a tight financial budget, you must use this marketing tool. Each minute 300 hours worth of videos is being uploaded onto YouTube and over 4 billion videos are viewed daily. If you upload quality video content, whatever it is, then they are very likely to get lots of followers to their page. The better quality, the most attention, obviously. YouTube has one billion users, and this figure will only keep on increasing. For an actor, this type of pre-existing audience is very attractive. You can reach out to the large number of people throughout the world for free. Since Google owns YouTube, an actor’s video could also show up on Google’s search results, and could reach the top spot, which could mean large volumes of traffic to their page. People love sharing videos with family and friends, and for an actor, this means if someone likes their video they can share it via social media and send it to others. This type of viral sharing will create a ripple effect, and the video could be shared by thousands or millions of people. Actors can also add a subscribe button to their videos so that their followers can subscribe to them. The more videos an actor uploads to their page the more people will keep coming back to it. An actor can use YouTube to show off their best work. It doesn’t have to be just your show reel or a monologue, but any creative short videos that you make. Actors can also link to certain scenes in the films that they worked on which the viewers may enjoy. Filmmakers are using YouTube to look out for talented actors, and if they see an actor that has lots of followers they are highly likely to be attracted to that actor. You can upload multiple videos onto YouTube to see which ones your followers like the most, and continue with that trend. 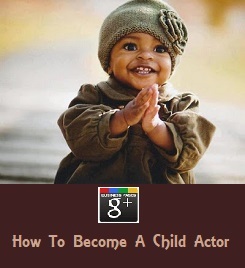 Some actors have personal websites, especially the more experienced actors. Having a website makes actors look very professional, especially to casting directors or producers. Actors that have a page on YouTube are adding a link that will take them to their personal website. This will enable anybody or a casting director looking at your videos to get in touch with you if they like your YouTube channel. Actors can also add their social media links so that others can get in touch via Twitter or Facebook. Actors can use YouTube to upload trailers that will help to promote a new film that they are appearing in. When an actor uploads a video onto YouTube they are marketing themselves 24/7. Once an actor uploads a video it’s there for as long as they want it to be. It doesn’t get taken away and so their videos are always out there promoting them and their work. 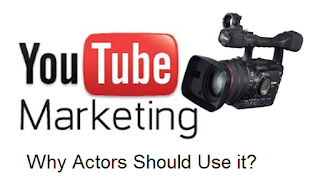 The more videos an actor uploads, the more effective the marketing campaign will be. Directors and writers are turning to YouTube to release independent projects. 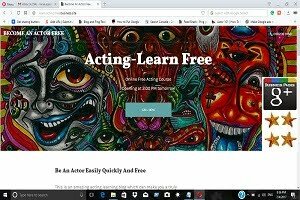 If an actor is well liked and has a professional looking YouTube page casting director will be attracted to them and could call them for auditions or offer them a role directly (As it happened to me). So what are you waiting for? Go create your very first YouTube channel right now, whether you’re planning to use it or not anytime soon.